Somewhere Else by Gorgeous Theatre at The Player’s. – Noely's Naughty Nightly Nitpick. Somewhere Else by Gorgeous Theatre at The Player’s. Look Im not one for physical theatre, it always reminds me of that time at drama camp that I was made to be a tree for two hours while three half-naked girls danced around me. Okay maybe it wasn’t that bad I suppose. Anyway, point being, I knew by the company that there would be an element of physical theatre but what I didn’t realise was how much I’d be enthralled and entertained by the acting, the writing and the design of this piece of Theatrical Make-Believe. It doesn’t matter where. Anywhere is better than here. Isn’t it? A journey, an adventure. That’s what he needs. He needs to go to the bright lights, hear the noise and escape his dreary past. Along the way, he meets he will meet his destiny. But what if your destiny isn’t all its made out to be? This is Theatre of the Absurd. And it is absurdly brilliant. His writing can be described as a mixture of Edgar Allen Poe, Lewis Carroll, Samual Beckett and Bob Dylan. His characters are gloriously incongruous and full of colour, and one has to be suitably impressed by the man’s ability to tell a story. The fact that he also directed this so beautifully gets him another pat on the back from me. Tanya Abazi plays the delightful role of CHILDISH. You can’t take your eyes off her. Her physicality and facial expressions are a joy to behold. There is no surprise that this lady has a background in Greek Tragic theatre. Saoirse Siné is wonderful. A presence from the start and wonderfully works the stage like a pro. Emma Brennan is everything that you could want in an actor and again her physicality on stage is so striking. For me a gem in this piece is Tonya Swayne, she has the ability in this piece to make fill you with joy, sadness and pure terror. No mean feat. Amazing performance. Then there’s Noel Cahill. What can I say? I know this man for a good while now, and he never ceases to amaze me. His pure devotion to his art is truly an inspiration. Kudo’s to this man. He gave blood, sweat and tears in this performance. In conclusion, look I’ll be honest. I had no idea what was going on for some of this production, but I was entertained all through it. And is that not the point of Absurd Theatre? This is a trip baby. A wonderful trip. 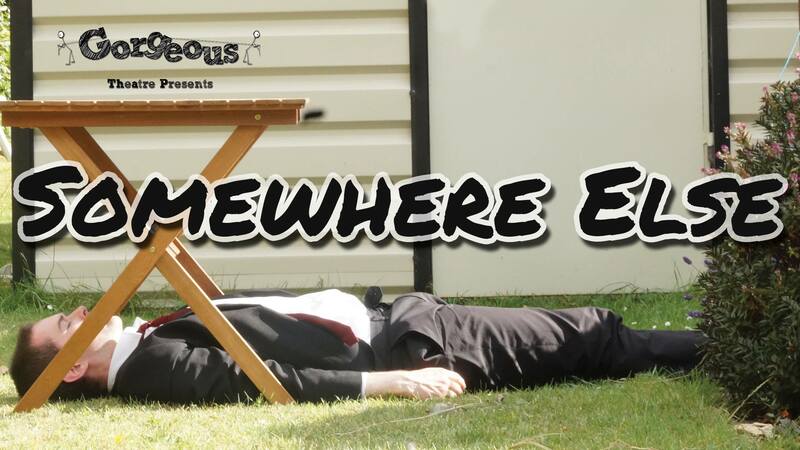 Somewhere Else runs until Saturday, August 18th at The DU Players. Previous Wetherspoons on a Thursday and depression, a review.